Summers Manufacturing builds a `Field-Tested Tough` line of tillage equipment, land rollers, sprayers, rock pickers and mounted attachments. 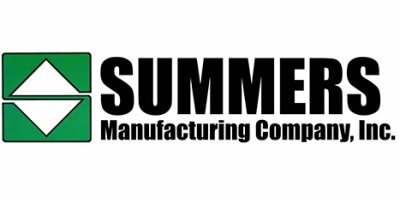 Summers Manufacturing was founded in 1965 by Harley Summers. Today, we’re a 100-percent employee owned company. That means every employee has a stake in the company’s success. As a result, our focus is solely on our customers…not on shareholders. And it’s everybody’s personal endeavor to develop Field Tested Tough equipment that’s better than anything else you’ll find. This is the plan where employees own a substantial part or the entire company. What does it mean to be employee owned? Being employee owned means that the employees have a stake in the company. The success of the company is tied directly to employee goals and accountabilities. What are the objectives of an ESOP? Our mission is to build field-tested tough agricultural equipment to help farmers feed and fuel the world.